Hi! I’m Crystal Paine. 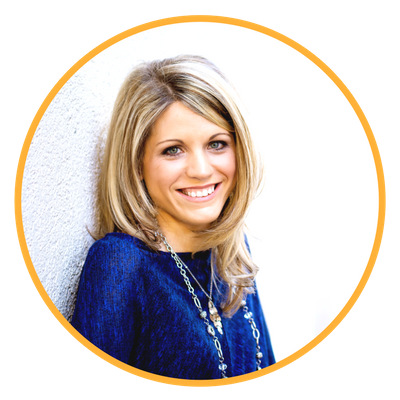 Wife, mom of 3, and founder of MoneySavingMom.com and YourBloggingMentor.com. 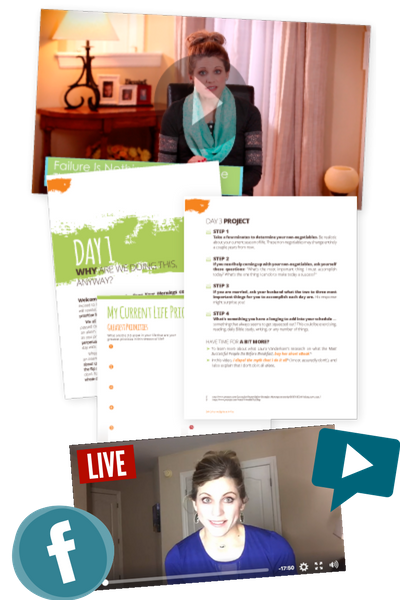 In 2015, I launched my first full-length course called Make Over Your Mornings. 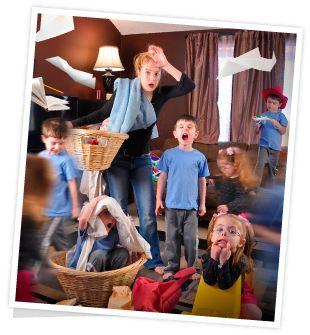 Over the last 3 years, this 14-day self-paced online course has helped thousands of people take control of their mornings so can they start having more productive, peaceful, stress-free days. Now, three years later, I’m here to revisit Make Over Your Mornings in a whole new way! Experience Make Over Your Mornings in a whole new way! For the first time ever, I’m offering to go through Make Over Your Mornings with you — LIVE!  In addition to getting the self-paced 14-day online course curriculum when you order today, you’ll also get access to the first-ever Make Over Your Mornings LIVE coaching group where I will personally go through the course with you! That means you’ll have exclusive access to a Facebook group where you can get the support and accountability you need to really make over your mornings for the longterm, be able to ask questions and get fresh ideas, and where you’ll be able to have access to me via Facebook Live, including a designated Ask Me Anything session! Lifetime access to Make Over Your Mornings, including the PDF workbook, daily lessons, and daily videos! 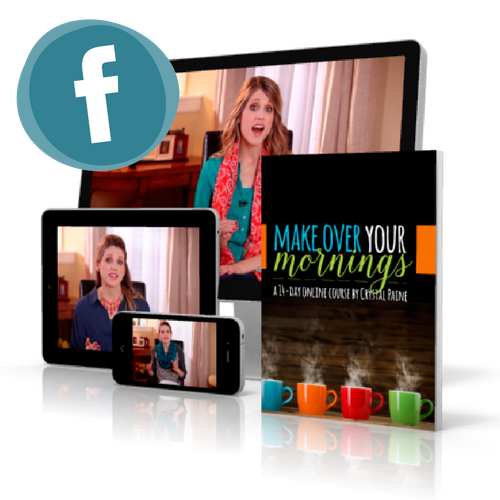 Exclusive access to the Make Over Your Mornings LIVE Facebook group where you can collaborate with others who are making over their mornings, too! LIVE access to me during our 2 weekly Facebook Live coaching sessions designated to help walk you through the course! PLUS 1 bonus Ask Me Anything live session so you can get all of your burning questions answered! I want you to experience this same kind of productivity, energy, and fulfillment that I have found by implementing simple changes and strategies in my everyday life. I want you to have more organization in your days, more focused time to devote to things you are passionate about, more time to spend with those you love, and more space in your days to breathe. But I already have Make Over Your Mornings! GREAT! This is for you too! Because you already purchased Make Over Your Mornings, we’re offering you access to the Make Over Your Mornings LIVE coaching group at a discount! That way you can go through the course again — this time, with the extra support of having me by your side! 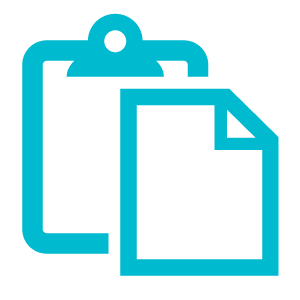 In fact, I emphasize the critical importance of rest and adequate sleep, and include a project designed to streamline your night-times in order to get to bed earlier. 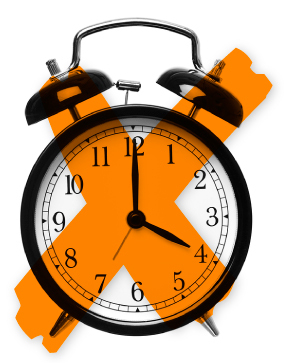 There is no heroism in trying to operate on five hours of sleep at night! Interested in joining our next LIVE coaching event? Sign up for the waiting list below to be notified when registration opens!